If it wasn’t clear from my series of “What’s on my iPod,” I would think that one of my recent posts on the Justice @ Harvard course would lead one to believe that I enjoy learning. (One might also point to my bachelor’s degree and two master’s degrees!) In addition to Prof. Sandel’s course, I’ve also been watching another course online: John Green’s Crash Course in World History. 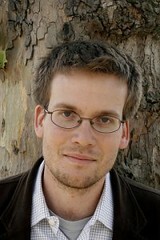 John Green is an author (Looking for Alaska; The Fault in our Stars) and one half of the VlogBrothers. John and his brother Hank post YouTube videos couched in the form of a conversation to each other. It’s very accessible. Hank has a Crash Course series on Biology. There are a number of other dedicated YouTube channels to different things that John & Hank talk about: SciShow, HankGames, and TruthOrFail. Back to Crash Course World History: Similar to my thoughts on ethics, I really think that people should have a basic understanding of world history. If that’s too much to ask, I think that I would like to have a basic understanding of world history. Especially because of my inclination to take a ‘systems perspective to things,’ (look for a post on this soon!) I think that having an understanding of the macrolevel events that led to today can help us (me?) gain a better understanding of where we might be headed in the future. If nothing else, it serves as ‘trial and error’ of what’s happened in the past, so as to avoid (or at least attempt to avoid) doing in the future. The crash course in World History is not yet complete. John Green posts a new one each week. He intends to post 40 episodes and as of this post, he’s posted only 19. That means, there’s still a lot of world history to get to! Each video is approximately 10 minutes long and there tends to be a lot of information crammed in. One is often encouraged to watch the videos more than once and I must say, I’ve definitely done this. This entry was posted in Education, History and tagged Knowledge, Perspective, World. Bookmark the permalink.